Alice is bringing ‘Sling Clinic’ to Tallinn this autumn! Have you been gifted a sling and not sure how to use it? You have tried and it never sits ‘quite right’? Is it pulling your back or shoulder? Does your baby flop around? So you end up constantly checking and adjusting it when you are walking? Or do you feel you need to put one hand on it all the time just to feel safe? A correctly fitted sling enable you to carry on with your day without having to adjust constantly or putting your hand on the sling all the time. You should be able to wave both your hands in the air and be able to dance! Time slots are limited. Book early to avoid disappointment. Please email me to book for a time slot or call my local organiser Helen on 5596 1960. 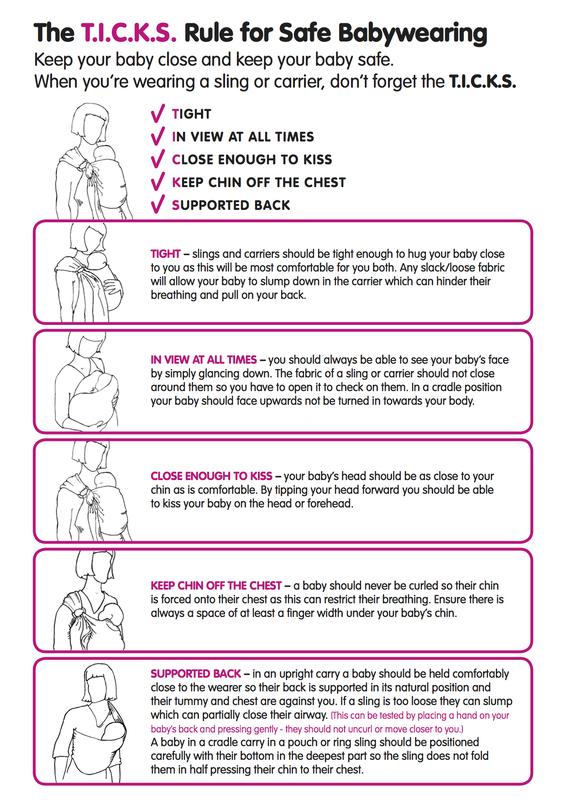 If you don’t have a sling yet and you need help to choose what to buy, come to my Introduction to Babywearing workshop. You will walk out of the workshop knowing exactly which sling to buy and you will be able to carry a baby in at least one style of sling.